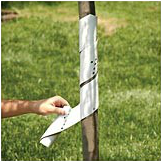 We carry a variety of products to help you achieve a successful tree planting. These products are available year-round at our office. As always, if you have any questions about the items below, please contact us at (231) 775-7681, ext. 3. Protect your fruit trees from rodents, rabbits, mechanical damage, and southwest winter injury by using these spiral tree guards. Made of vinyl for durability and weather resistance. Guards should be put on the trees in late September and removed in early May. 3' tall. Plantskydd was initially developed in Sweden in 1991 in response to its commercial forest plantations being decimated by deer, rabbits and moose. The forest industry needed an animal repellent that could last through severe weather, and also meet Sweden's strict environmental laws. Its long-term effectiveness is attributable to the tenacity of its 100% natural, vegetable oil binder in sticking to plants — even under severe snow/rainfall conditions: up to 6 months over winter, 3-4 months in summer. OMRI listed for use in organic agriculture. It works by emitting an odor that animals associate with predator activity. We carry ready-to-use spray, granular, and wettable poweder formulations. Use 1 tablet per seedling to provide all the nitrogen, phosphorus and potash needed by seedlings for two years after transplanting. Also contains magnesium, sulfur and iron. 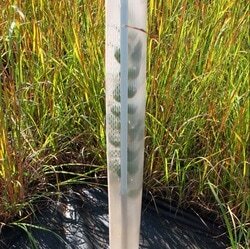 Greater amounts of nutrients are released during the growing season. Very little is released during the dormant season. Synthetic, super-absorbent material helps seedlings survive transplanting and become established in dry soils. Mixing rate is 1 oz. 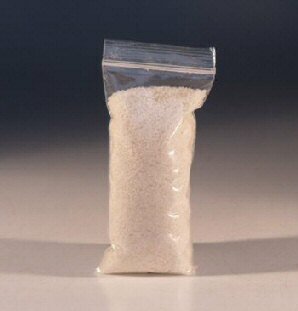 Terra-Sorb to 1 gallon of water, or 1 pound to 24 gallons water. Let stand for one hour until the mixture forms a slurry the constancy of gravy. Adjust gel to a thickness that permits maximum amount of gel to adhere to the roots. Dip the roots of seedlings prior to planting. One ounce will treat approximately 100 seedlings. Made of aluminum so they won't rust. Bright orange color makes them highly visible. Size is 7½” x 11½”. Suitable for attaching to fence posts. Heavy-duty tool excellent for planting tree seedlings by hand. Constructed locally. Protect against animal browsing and improve growth rate with these 5' tall, vented, double-wall tree shelters. Comes with fiberglass stakes that bend with the wind to help increase trunk strength. Fastening ties for the stakes and netting to place over the top to prevent birds from falling into the shelter.